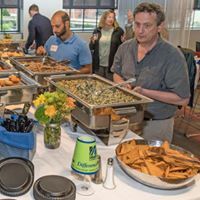 On Thursday, July 13, 2017, DifferenceMaker teams gathered in Umass Lowell’s Innovation hub to pitch their final ideas to alumni, faculty fellows, and mentors. The four-week bootcamp the teams attended this summer prepared them for Demo Day. 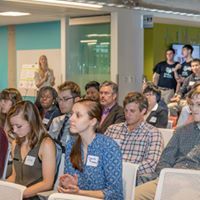 This event was an opportunity for teams to showcase their solutions to potential mentors. 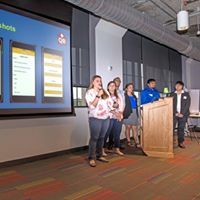 During their pitches, they explained their business plans, potential customers and described in depth the qualities and skills they are searching for in order to strengthen and improve their opportunities along with their product. 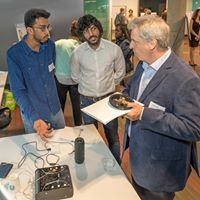 Many of the teams even displayed their prototypes. The main focus of the event is to advance teams’ progress with the help of mentors. The teams were able to receive insightful feedback during the time given for Q&A. 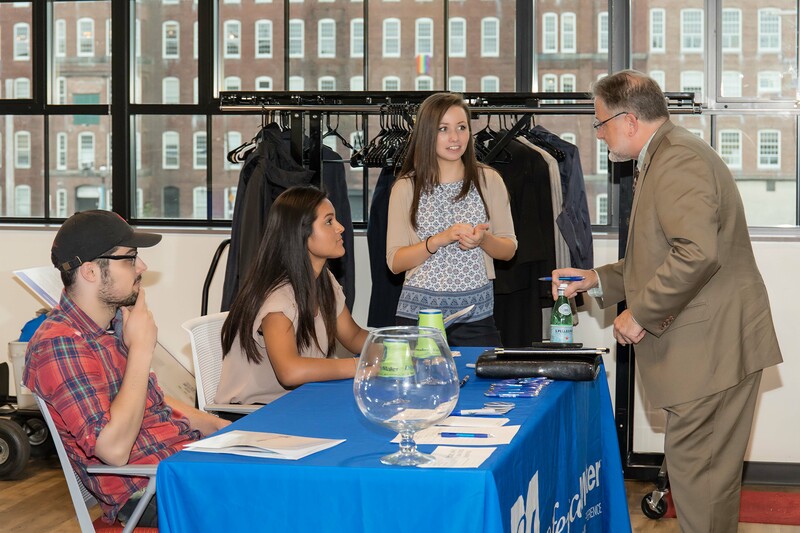 They were given the opportunity to network with alumni and local business professionals. Student co-ops Cody Weimar, Perla Ponce, and Amy Ward greet professor Steven Tello. Large crowd consisting of alumni, faculty fellows, and mentors in UML’s IHub. The event was catered by Aramark. There were many options to choose from, varying from spinach dip, to egg rolls. Team QBell presents their hospital experience improving software. Team Cyborg displays their prototype to potential mentor. Thank you to all those who attended. We hope to see you again next year. This entry was posted in Uncategorized by perla_ponce@student.uml.edu. Bookmark the permalink. Good job guys! Awesome team and execution! Thats really good for allumni, See again in next year.